For over twenty years, our original model, the Gzunda, has been THE state-of-the-art hospital bed mover. With each new model, improvements and upgrades keep our bed mover at the forefront of the industry. The new GZS model keeps with this tradition. The GZS was developed by a team of ergonomists, engineers, and end-users to ensure a reliable product that benefits the patient and employees. The design team identified the needs of patients and medical professionals, as well as, the common limitations found in hospitals, nursing homes, and other medical facilities. 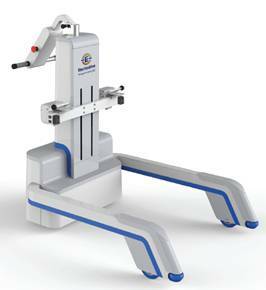 The bed mover is designed and manufactured to be the ergonomic solution for moving beds, stretchers, and patients. Our newest model, the GZS, is now available!